Hi everyone! It's been quite a while (almost a month) since I've done a Top Five Friday post, so I'm happy to be sharing some favorites with you all today! This weekend I'll be spending time with my family for the holidays. I hope you all have safe travels if you're going somewhere, or just enjoy some time with loved ones. And if you don't celebrate the holidays- I hope you have a great weekend and get some time to relax!! If you're looking for a great Christmas album to really get you into the spirit, look no further. Leslie Odom Jr. has SUCH an amazing voice (if you listened to the Hamilton soundtrack you would know him as Aaron Burr, sir) and the spin he puts on classics is just perfection. I think he sounds a lot like Sam Smith, who is one of my favorite singers, with a mix of John Legend. I absolutely love him and can't stop playing this CD around the house! 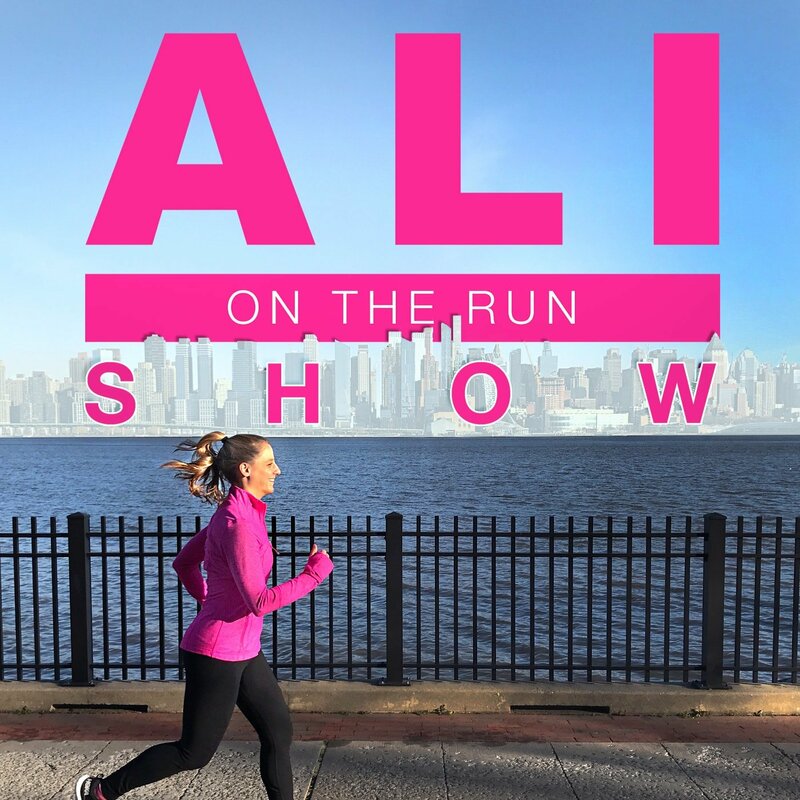 I've been listening to this podcast (and following the blog) for a really long time, but lately Ali has just been killing it with her guests! Not only is she bringing on huge names in the running community (Molly Huddle, Kara Goucher, Neely Spence Gracey), but also interviews amazing people that you might not have heard of before/didn't know they were runners (blogger Janae Baron, Full House's Andrea Barber). I love her interviewing style and the great stories that she tells. It's my favorite running podcast, and I always look forward to listening to her episodes on my long runs! I go through phases with different grocery stores (one month I'm all about Aldi's, then I only shop at Whole Foods, etc), and this month is definitely Trader Joe's! It's hard to NOT shop there when they have all kinds of amazing treats and products for the holidays. A few favorites that I recently picked up are the Almond Milk Nog (which I add to coffee for the perfect amount of holiday spice), face mask trio (which is making irritated winter skin feel baby soft), and the Kale, Cashew and Basil Pesto (perfect addition to a vegan "cheese plate"). You should all know by now how much I love the Great British Bake Off, and I was really sad to finish the latest season on Neflix. 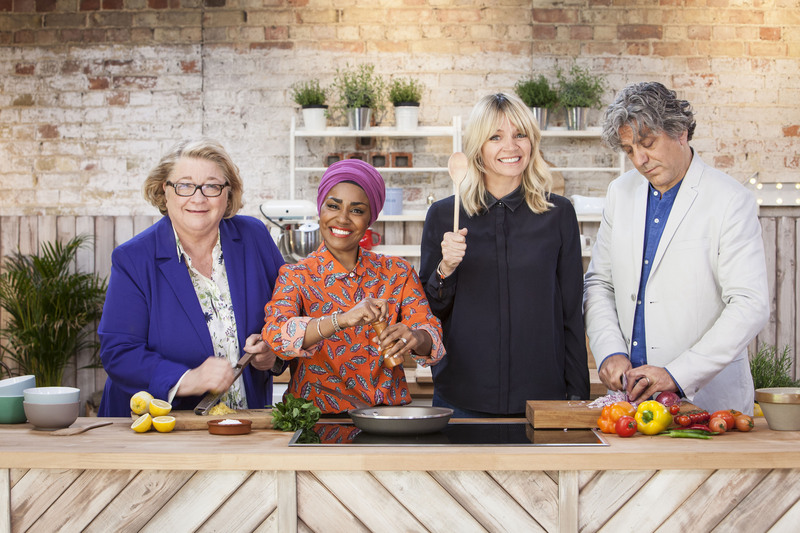 In order to fill that England-sized hole in my chest, I was really happy to find the Great Family Cooking Showdown, which is hosted by one of my favorite past winners (Nadiya). The format is different from GBBO and features families that are cooking meals rather than just desserts, but I still get the same warm fuzzy feeling when I watch it. I actually binge-watched the entire first season on my plane ride to Hawaii and was in the best mood ever! (I do have to admit though, I kind of hate the judges on this show because they don't compare AT ALL to the perfect Mary Berry and Paul Hollywood). I've been wanting to try oil diffusers for a while now, and finally bit the bullet and bought one (on sale!) at Target a few weeks ago. So far my oil collection is super tiny, with a "sleep" blend as well as lemon/eucalyptus (my favorite!! ), but I'm loving it! I have trouble sleeping, but as soon as I switch this on and smell the amazing oils, I immediately feel calm and have been sleeping much better. I don't know how much I believe about all of the amazing health claims yet, but as far as relaxation and sleep goes- these definitely work! Good morning everyone! Today's post is a large one so I'll keep my intro short and sweet. 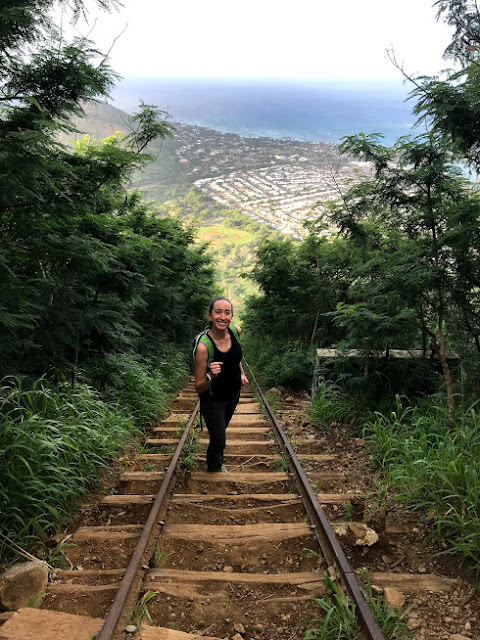 This is my second post all about Hawaii (check out my first one where I talked about the hikes that I went on here! ), and I'm packing in all of the favorite things that I did, from restaurants to landmarks to beaches. I even include a few things that I didn't like! I hope you enjoy! Sansei (sushi)- our hands-down favorite restaurant on the trip! 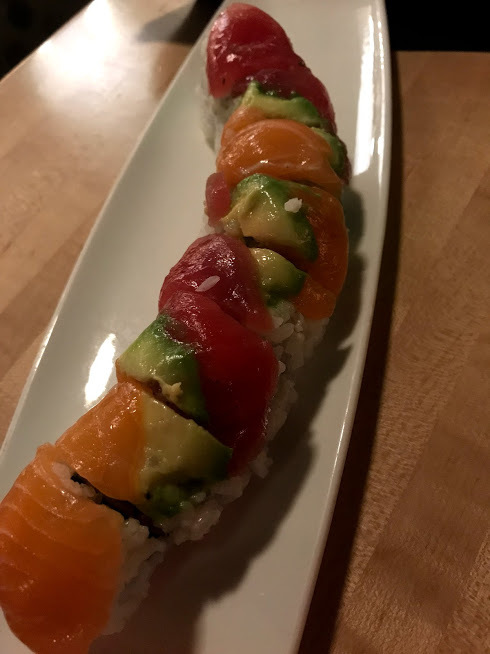 Everything we got was so amazing, especially the rainbow roll (below). We ended up tipping the sushi maker, who brought us over a piece of fish with fresh wasabi on top. Amazing experience! 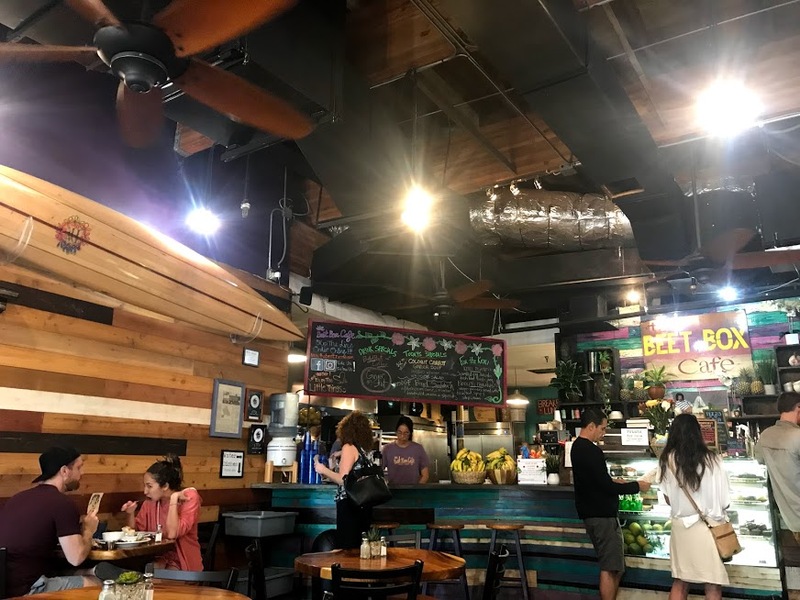 Beet Box (vegan)- cool little place near the North Shore with all vegan/vegetarian options and kombucha on tap (side note- kombucha is HUGE in Hawaii!). I got a portobella mushroom sandwich and it was really good, but messy! 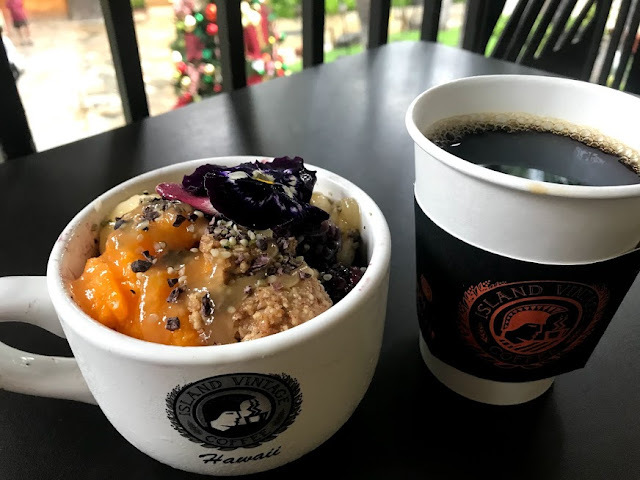 Island Vintage Coffee (coffee shop)- delicious coffee and great menu. Got my first acai bowl here and I loved it! I like the location in Royal Hawaiian Center for good people watching and a great view if you can get a seat on the lanai. Green World Coffee (coffee shop)- cute little shop and farm near Dole Plantation. Lots of coffee to buy and samples to try. I stayed for a while and just sat outside because it was so beautiful! 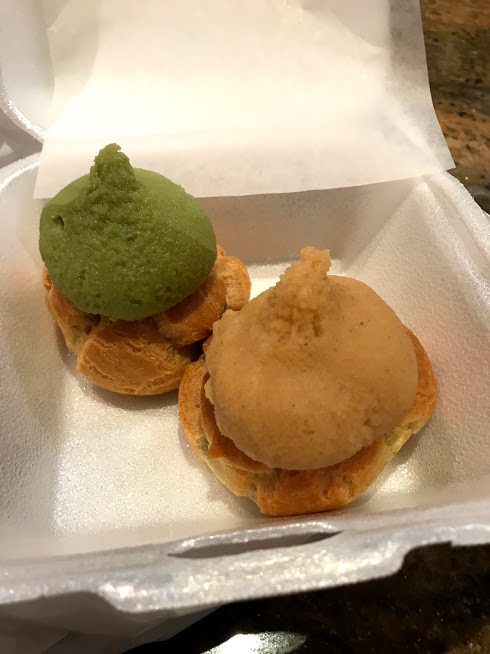 Liliha Bakery (bakery)- amazing puffs, try the coco puff (what they're known for) and green tea puff. Doraku Sushi (sushi)- another cool sushi place with really interesting options and fun atmosphere. 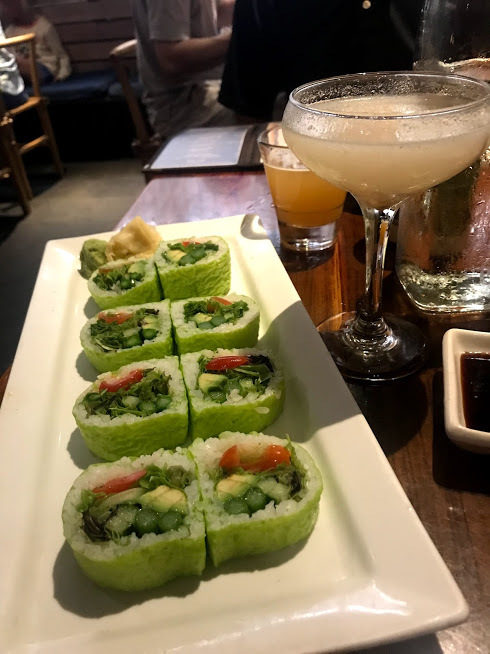 I got a vegetarian roll which was the best the I've tried anywhere, and the drinks were delicious! 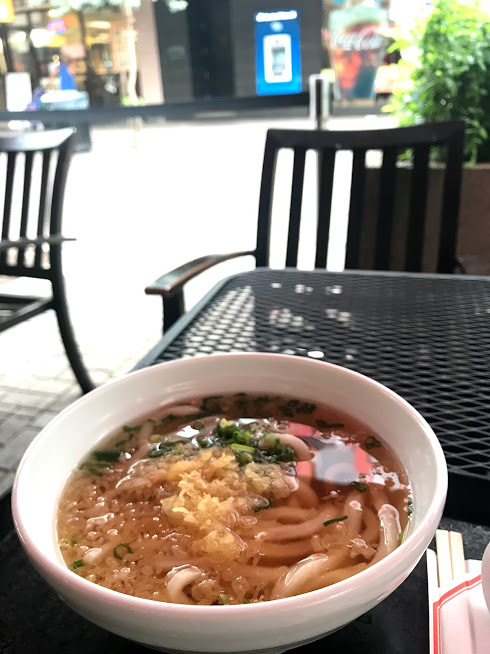 Marukame Udon (Japanese)- tried the location in Chinatown and it was a great value for what you get. Delicious broth and perfectly cooked noodles, and the location is so neat. It's on a pedestrian street right in the heart of Honolulu! Local Joe (coffee shop)- great place to stop if you're in downtown Honolulu. 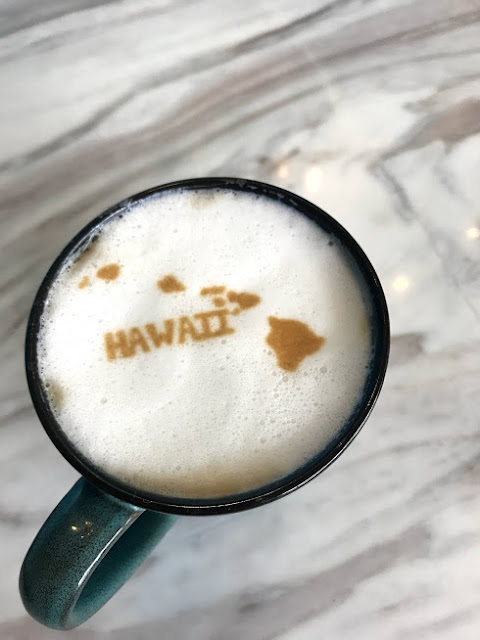 They have a machine that will make cool foam designs (I asked to be surprised and got a map of Hawaii since it was my first visit, but you can request a design too). Really nice workers who gave me tons of suggestions on what to do on the island! The Street (everything! )- located in the International Market Place, this is kind of like a food court with lots of different restaurants and two bars. It's a great place to go with people who like different food because you can each go to a different "restaurant", then meet up at the tiki bar or beer garden to eat together! 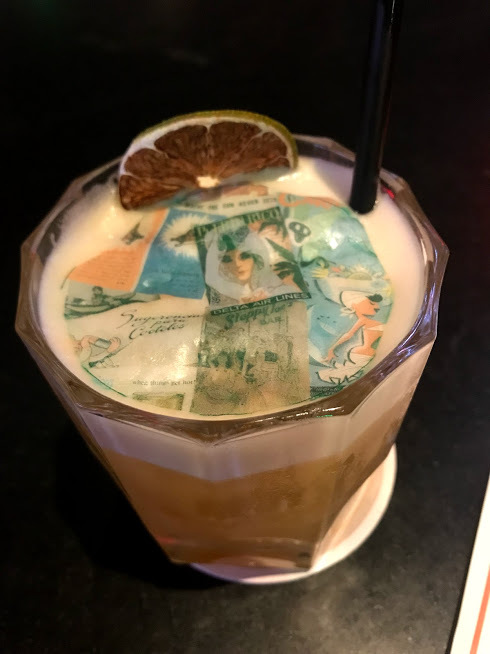 Dan got a really cute drink at the tiki place (with an edible, printed wafer on top) and I wish we went back to try more places. Halona Blowhole - beautiful crashing waves, and a big parking lot so you're able to stop with no issues! It's close to a lot of touristy areas so it's a great stop to make if you're out for the day. 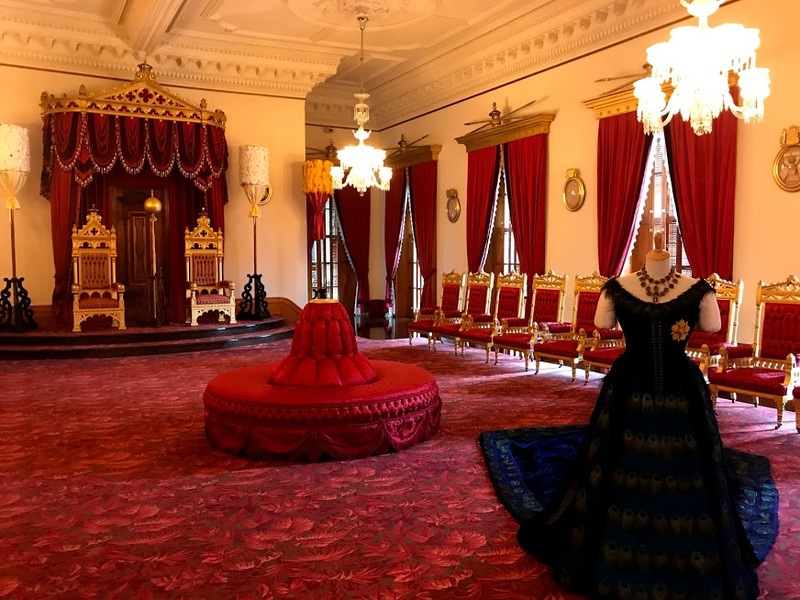 Iolani Palace - self-guided audio tour is so good! You get a device that takes you on a personal tour around the palace with options to learn more or keep going, so you can spend as little or as much time as you want. Great to learn history of Hawaii and see a beautiful building. Royal Hawaiian Band plays on Fridays (sadly the weather was bad so they had to cancel when I went but I got to see the truck!) The self-guided tour is $14.75, and a guided tour is $21.75. You can visit Monday through Saturday from 9:00-4:00. 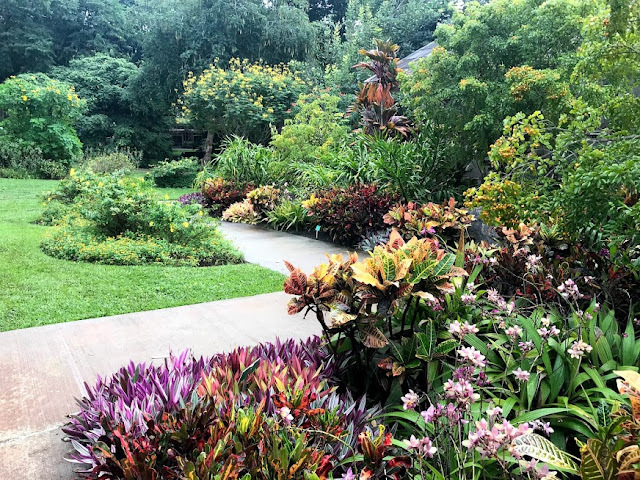 Foster Botanical Garden - neat place to stop if you're wandering around Honolulu. When you enter, there's a map with a route to follow and information on the plants you'll pass. There's a Buddhist Temple located on the garden grounds as well that looked really incredible, but it was closed when I was there. $5 to enter and open 9:00-4:00 daily. Byodo-In Temple - gorgeous location, you can ring a bell for good luck and enter the sacred temple (remove shoes and you can pray or light an incense). 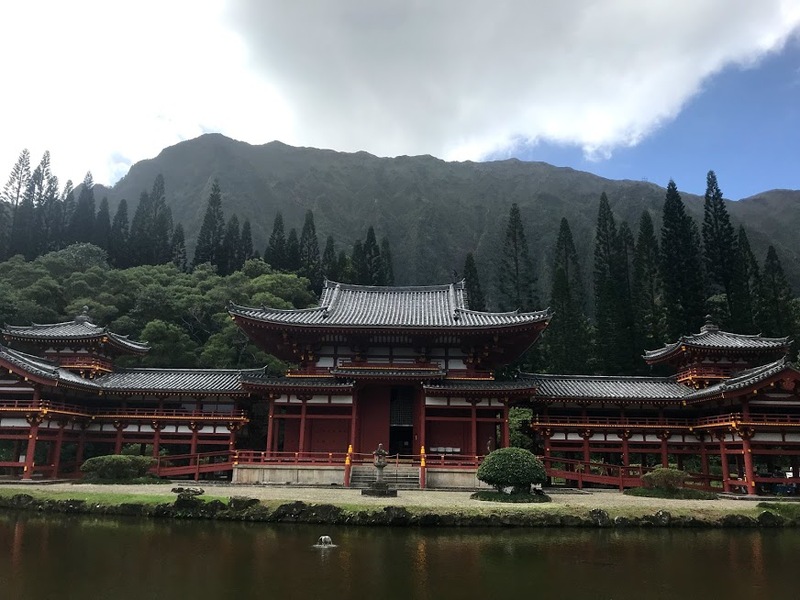 It was built to commemorate the 100 year anniversary of first Japanese immigrants to Hawaii and is a replica of the Byodo-In Temple in Uji, Japan (which is 950 years old!). Might recognize if you watch Lost or Hawaii Five-O. It costs $5 to enter (cash only) and is open 8:30-5:00 daily. 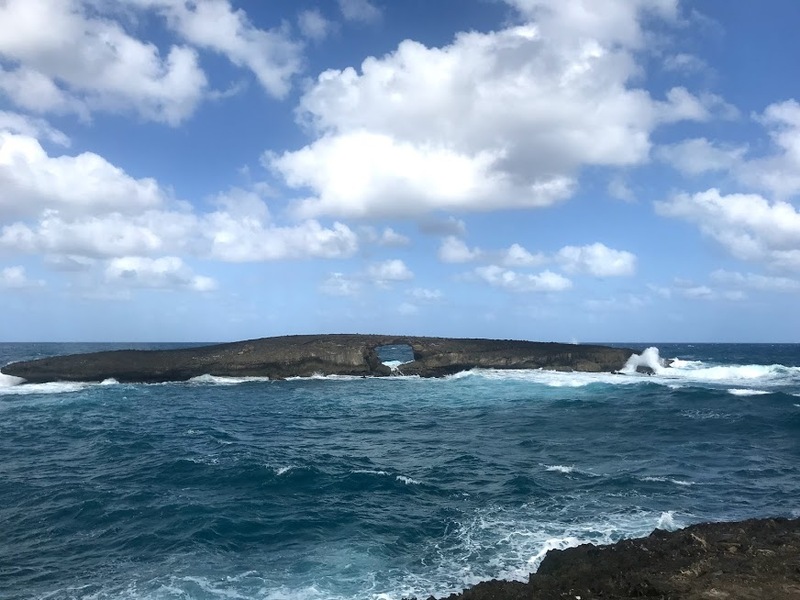 Laie Point - Great place to stop if you're driving around the island or stopping by the Polynesian Cultural Center. There are places to walk around to get great views of the waves breaking, and a small rocky island with a hole in the middle for some cool pictures. Parking can be limited, but it's worth the wait! 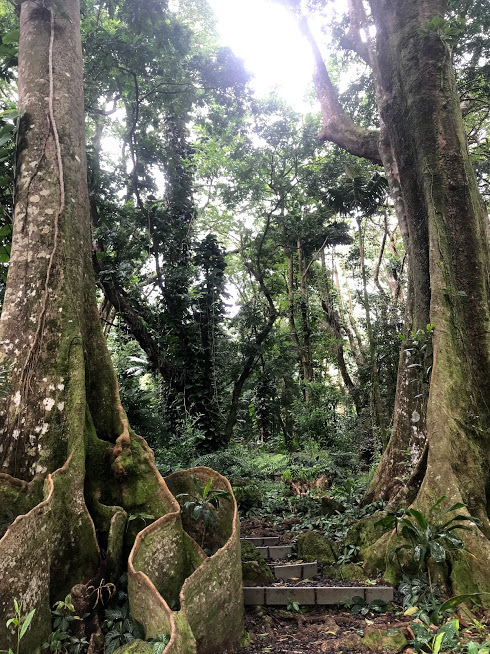 Ho'omaluhia Botanical Garden - free (!!) with lots of trails to explore and tons of parking lots. The drive alone is gorgeous, but it's really breathtaking when you walk around! I believe there are also camping sites on the grounds, and this would be a really cool place to camp! Open daily from 9:00 to 4:00. 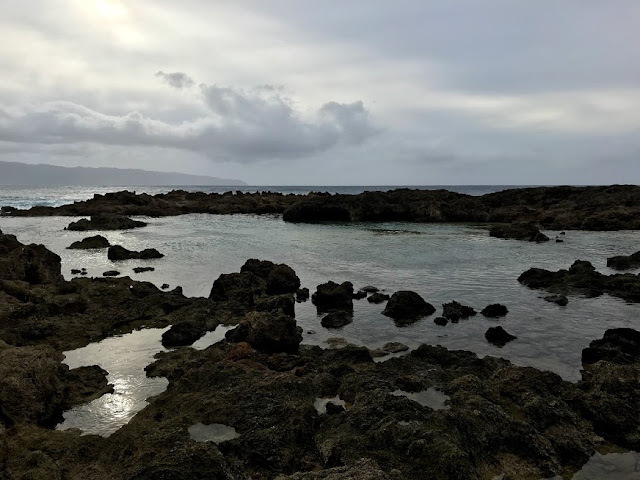 Shark's Cove - cool little beach up in the North Shore. 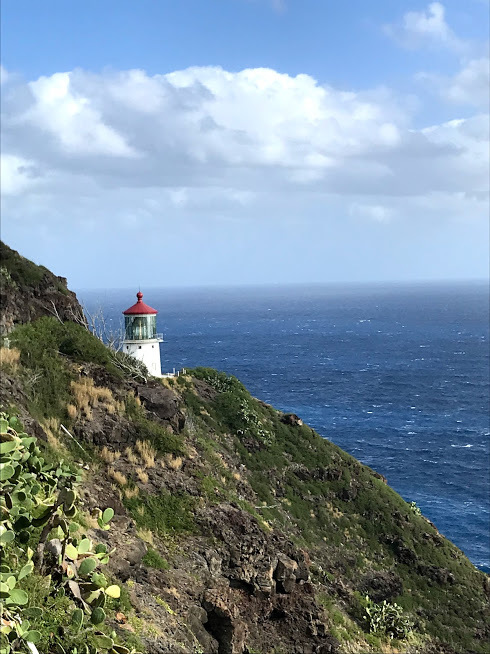 Lots of places to hike around or go snorkeling, and the views are incredible. Make sure you bring shoes with a sturdy base because it's all sharp volcanic rock! 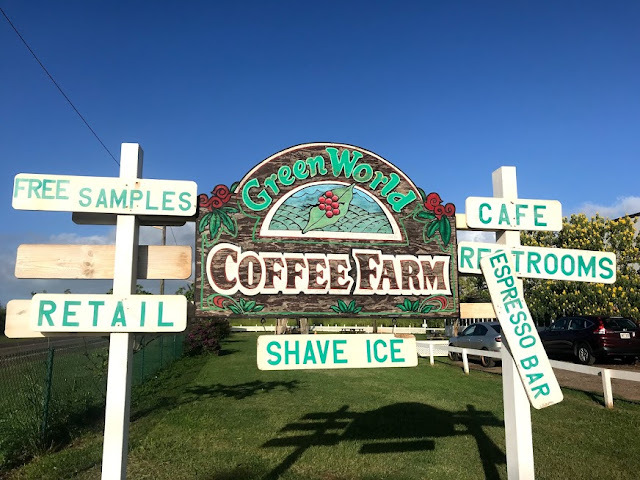 The Banzai Pipeline and other amazing beaches are in this area, so make sure you take your time and explore a bit, then stop in Haleiwa on your way back. Ko'Olina Lagoons - kind of out of the way, but perfect place to watch a sunset. There are a few resorts in this area (including a Disney resort!) but anyone is able to walk around the lagoon area. I would recommend spending the afternoon there, getting a meal or a drink, and enjoying the beautiful man made beaches. I parked near lagoon 4, which has the largest parking lot, but make sure you get out by sunset. I was able to park for free, but I've heard that it can cost up to $10. Dole Plantation - too touristy for me, and I thought Dole whip was way too sweet. There are a few activities that you have to pay for (train ride, world's largest maze and garden tour), but otherwise I didn't think it was worth visiting. 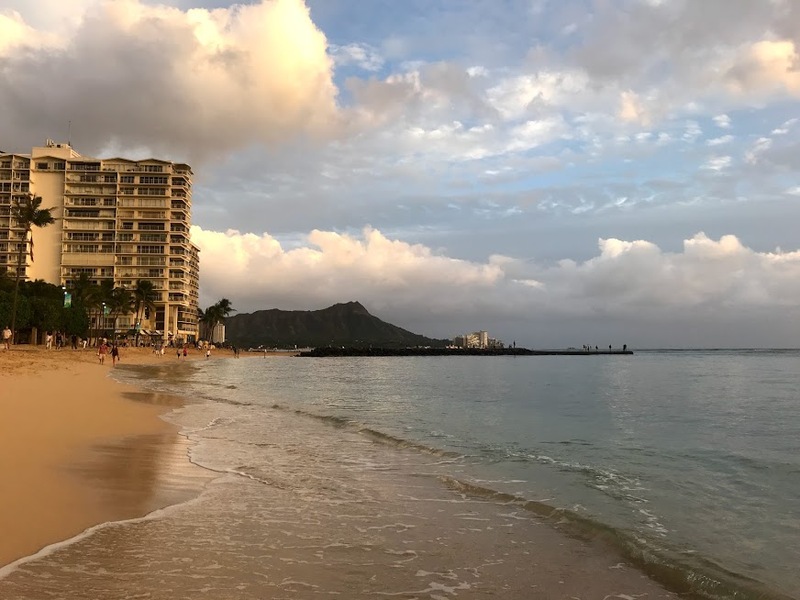 Waikiki Beach - one of the most popular beaches in the world, but I thought all of the other beaches in the area were nicer! There's not much parking and it's really crowded, so I would recommend checking out one of the other dozens of amazing beaches on the island. 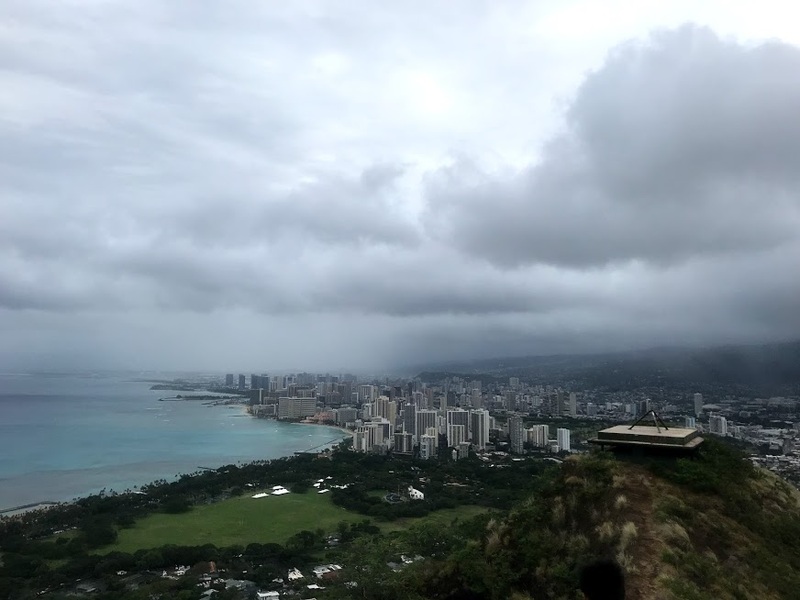 If you're staying in Waikiki, I would recommend Fort DeRussy, Queen's Surf, or traveling a little to Sandy Beach. 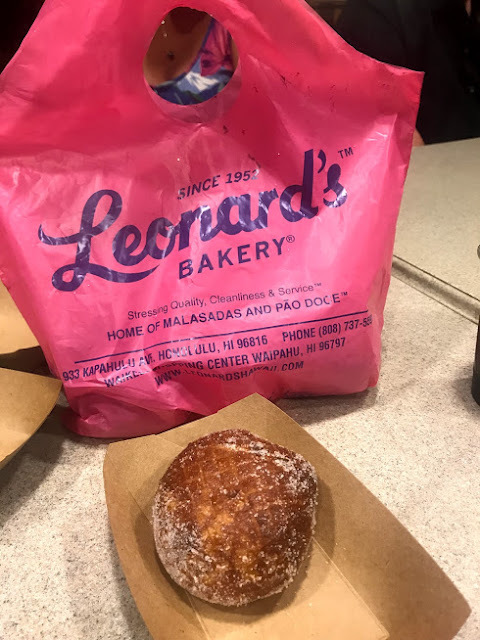 Leonard's Bakery - This is one of those places that EVERYONE recommended that I visit, and unfortunately it didn't live up to the hype to me. I got three types of malasadas (which are the famous Portuguese donuts that put this bakery on the map)- original, dobash, and haupia. They were much larger than I expected, and were just too doughy for me. Plus, they were covered in sugar that got everywhere! If you're a baked-goods fan I would suggest trying to find the Malasada Mobile, but I personally didn't find the wait worth it or the actual bakery that exciting. Shave Ice - another thing that everyone recommended I try was shave ice. 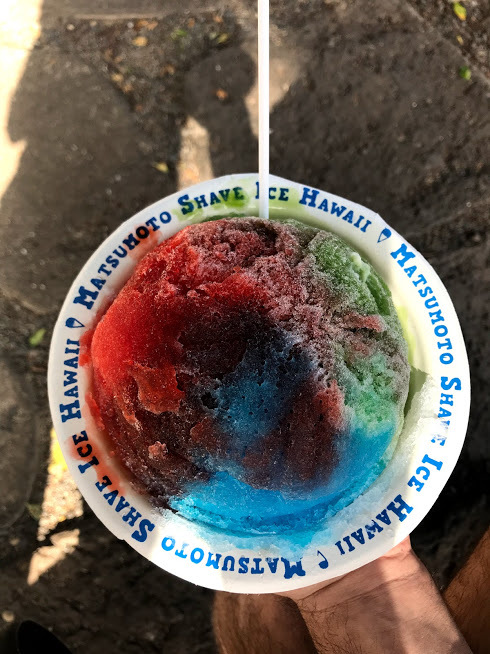 I decided to visit the highest rated and most famous place on the island- Matsumoto's in the North Shore. While it tasted fine (still too sweet for me) , both Dan and I agreed that it didn't taste any different than regular ice balls from Pittsburgh. Probably another case of having high expectations! Haleiwa Joe's Haiku Garden - I want to preface this by saying that the restaurant itself is absolutely gorgeous- the Haiku Gardens and mountains that surround the restaurant offer one of the most beautiful dinner backdrops that I ever experienced. 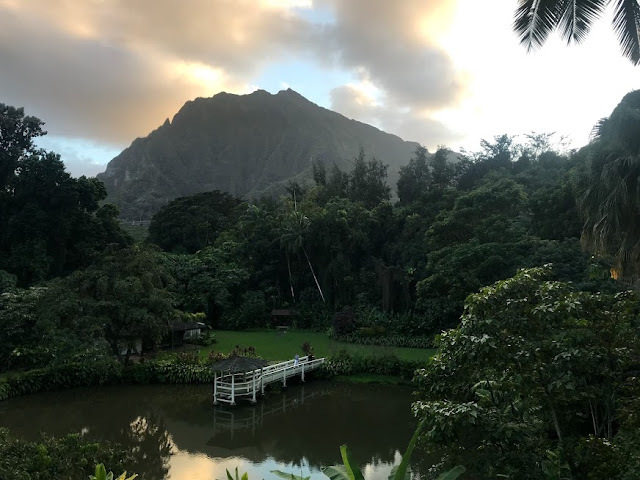 Make sure to get to the restaurant early to get a seat by the railing for the best view possible, and walk around the gardens before or after dinner. With that being said, Dan and I were both let down by the food. We only ordered appetizers so we might be biased, but everything just tasted like generic bar food. The view definitely made up for it though, so I would put this as a maybe-visit (if you have enough time or are in the area). Herringbone - this was probably my biggest disappointment of the entire trip! 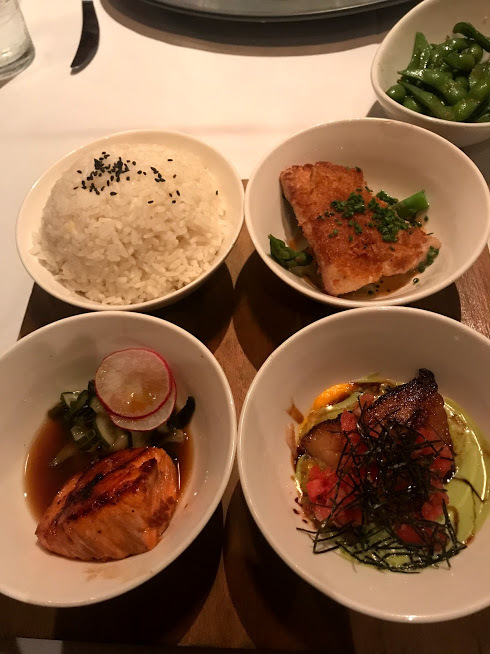 I've been a huge fan of the show Top Chef since it started, and have been dying to visit one of the contestant's restaurants for a while now. I was excited to see that one of my favorites- Brian Malarkey from season 3- owned a restaurant near our hotel in the International Market Place. 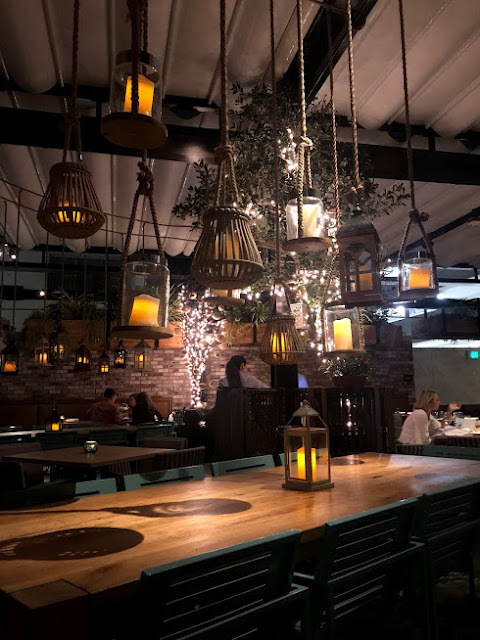 The restaurant itself was gorgeous and had one my favorite interior designs of any other place that we visited. Unfortunately, the food (and drinks) fell flat to me and just seemed over priced compared to other food that we had on our trip. 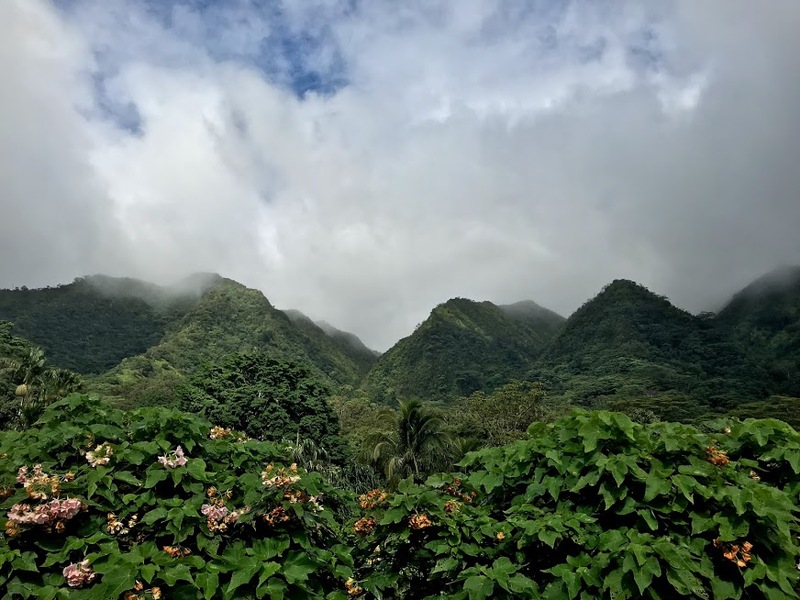 Who else has been to Hawaii before? Did I miss something on my list?? 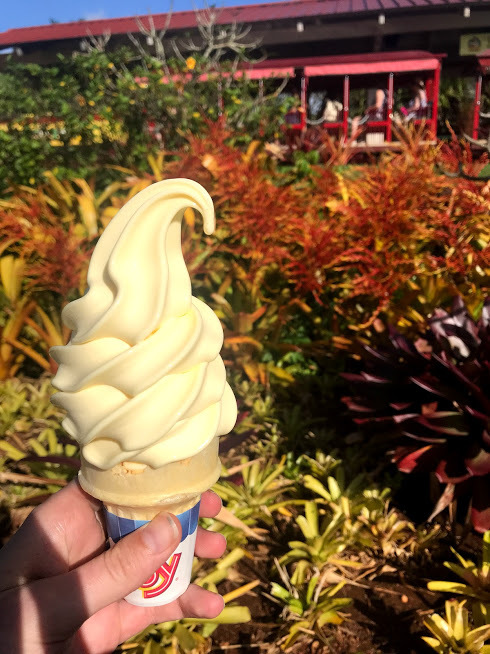 Dole whip- yay or nay? This was such a great week and one that I really needed! Since I took some time off during my trip to Hawaii, I was nervous about this upcoming week. I had a long run on the schedule (16) and some higher mileage during the week. I knew this could be the turning point in my training (even though it's still really early and I have a long way to go), so I put a lot of pressure on myself to get back on track. Keep reading to see how I ended up doing! linking up with Steff, Holly and Tricia! I had a dentist appointment, so I was working from home and able to get this run done at lunch time. There was some snow and it was pretty chilly outside, but I loved it! Nothing is better to me than running in a snowy winter wonderland. I had my watch away during this run and just ran by feel and kept it easy. I guess the colder weather agrees with me because I haven't seen these numbers for an easy run in a while! 1 mile warmup, 2 miles at 7:55-8:00, 1 mile cool down. Felt pretty good, a little soreness since this was my first speed work in a while! In my plan I was actually supposed to do 3 miles at tempo pace, but wasn't feeling great and was running late for work so I cut it back to 2. I went to see The Last Jedi in the morning with Dan's work (quick opinion-meh, not my favorite in the series but cute), so I waited until the afternoon to go for a run. That was a great move because the weather was beautiful! The sun was shining and the temperatures went above freezing, so I was loving this run. This was my longest run in a LONG time, and luckily I had some friends along to keep the miles rolling! Ran 3 laps of North Park with Steffany, who was doing 20 miles, and was joined by Sara for 5 and Jessie for the next 6. I was a little nervous about this run since I haven't done a "long run" or double digits in 3 weeks, and I was calling this my "make or break long run" for marathon training. If I couldn't make it, I would reconsider signing up. Since it felt so great and I still have lots of time to train, looks like I'm all in! At the end, my body felt great but my feet were a bit sore. I'll have to look at how I tie my shoes and see if I can switch it up to relieve some hot spots. What do you prefer- hot runs or cold runs? Aloha everyone! 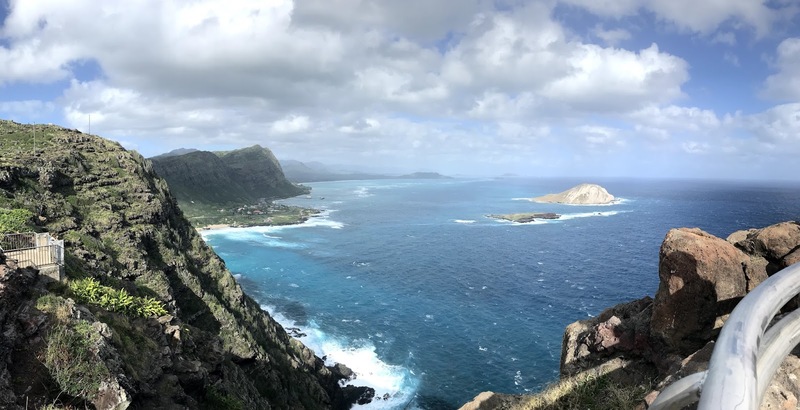 In case you don't follow me on Instagram, I was just in Hawaii for the past two weeks! It was such an amazing trip and I can't wait to talk more about it, but today I'm going to be sharing my workouts while I was there. I definitely didn't follow my training plan and missed lots of miles, but I don't mind having an off week (or two) this early on. I'm sure I'll make it up! Since Dan was there for work, this was really our only free day to spend together. We decided to go up to the North Shore and visit all of the beaches possible! Got in lots of walking but no runs. I went on a run around Diamond Head around lunchtime, which was really hard! It was pretty warm out and it's a decent climb to the entrance and back down to Waikiki (the actual monument is closed during the week for maintenance, so I just ran around it.) 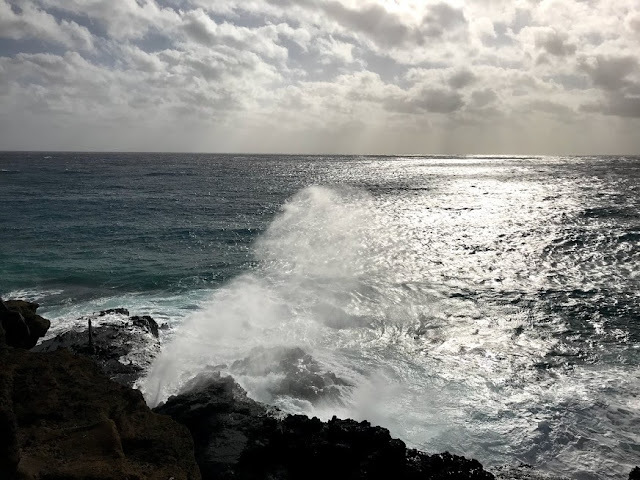 I stopped a few times at different beaches and went on a few small hikes along the way. 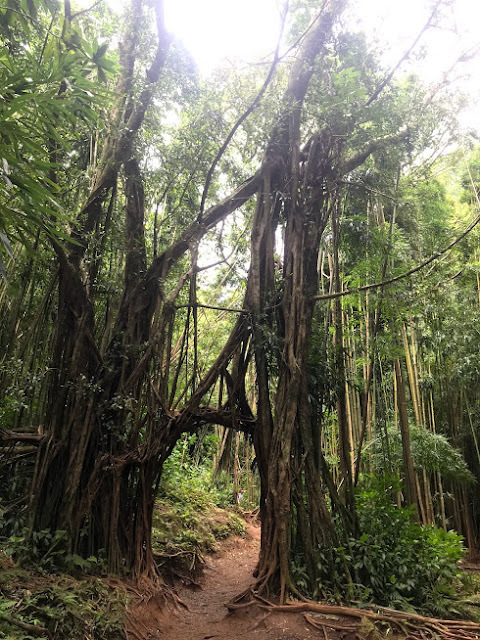 I took a solo trip to Manoa Falls to go on a hike. It was pretty easy but hilly in some sections, and the waterfall at the end was amazing. I also stopped by nearby Lyon Arboretum for a bit more hiking and ended up with around 6 miles total. In the evening, I went to a free yoga class near my hotel which felt great! I went out for another run, this time heading west towards Ala Moana park and Magic Island. I was originally planning on doing my speed workout (2 miles at tempo), but it was so hot and humid out that I felt like I would pass out after just a half mile! I decided just to enjoy the run and take it easy, and ended with swim in the ocean. Later, I met up with some of Dan's coworkers' kids for another hike. 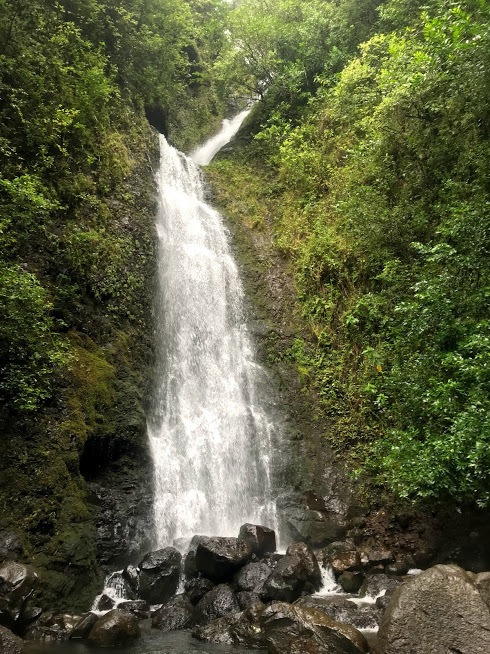 This one was much more grueling and difficult- we heard there were upside down waterfalls called Lulumahu Falls. To get there, we hiked pretty much straight up a mountain, crossing over small waterfalls and creeks and doing some bouldering/rappelling. It was so much fun and hard work, especially because it was raining pretty much the entire time! We got to the falls and while it was really beautiful, they were not flowing backwards. Spent the day walking around downtown Honolulu! Definitely got my steps in, but no running. I was supposed to do my long run, but when I woke up it was pouring down rain and the forecast didn't look great. 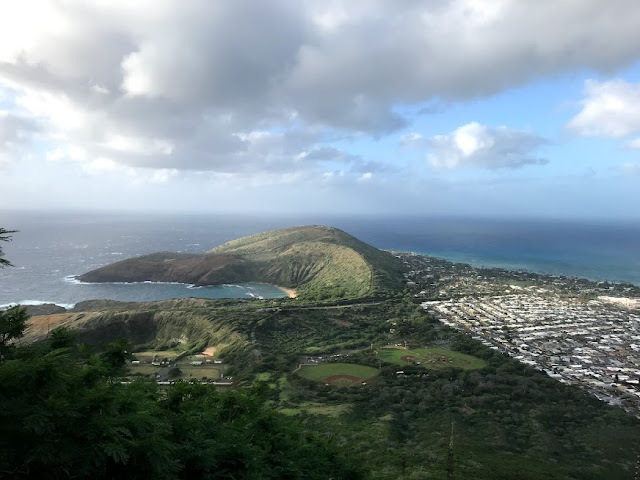 I decided to head out anyway and get in some miles, so once again I ran around Diamond Head. It was actually open for the weekend, so I ended up hiking/running to the top, and then ran to a farmers market nearby for a nice and refreshing drink! It was a challenging run for sure, but definitely worth it! I was actually working this entire trip as well (but on east coast time), so this was a free day that I definitely took advantage of. I met up with the other families for another hike early in the morning, where we went straight up a mountain to the top of Koko Head Crater, then spent the rest of the day driving around Oahu to check other hikes and landmarks off my checklist. I ended up with around 15 miles total for the day! 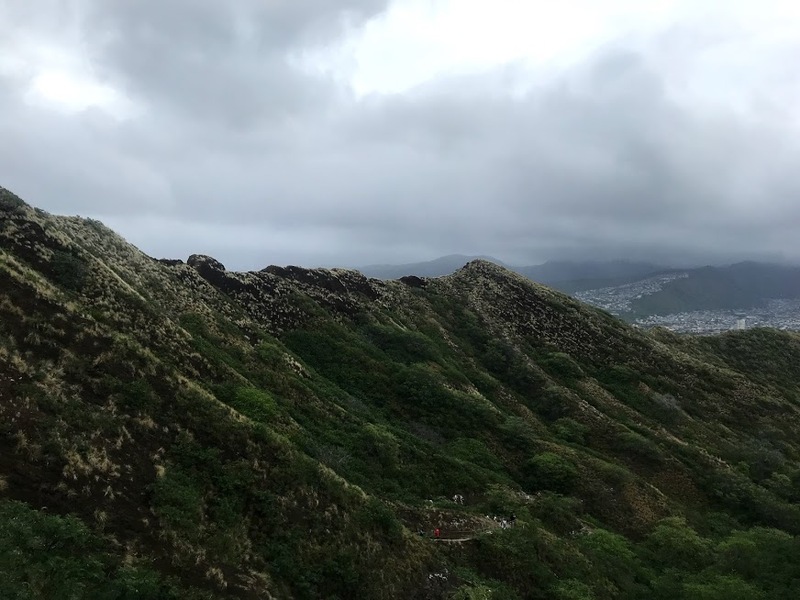 I was so, so sore from all the hiking the day before (especially those steps at Koko Head) so I took it easy. It was our final day in O'ahu, so I went on my favorite running path again- the Magic Island! It was such a beautiful, clear day, and I ended at the beach, where some of the other families were. We ended up renting paddleboards and staying out on the water for a while. Such a workout in the ocean! Our actual "vacation" started on Wednesday, when both Dan and I were done with work. We flew over to Maui, and spent the next few days exploring the island. We did some hiking and site-seeing, but I didn't go running at all. I got home around 7AM, and took a nap for a while then set out for a run. 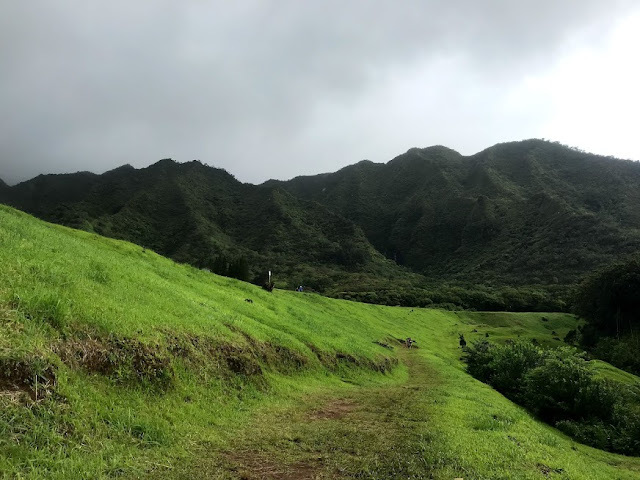 While I was still in Hawaii, I made plans to go for a run with Jessie, because I knew I would just stay in bed all day if I didn't! My plan called for 5 miles at marathon race pace, which I thought would be impossible, but we ended up crushing it. I did 5 with Jessie, then 3 alone.